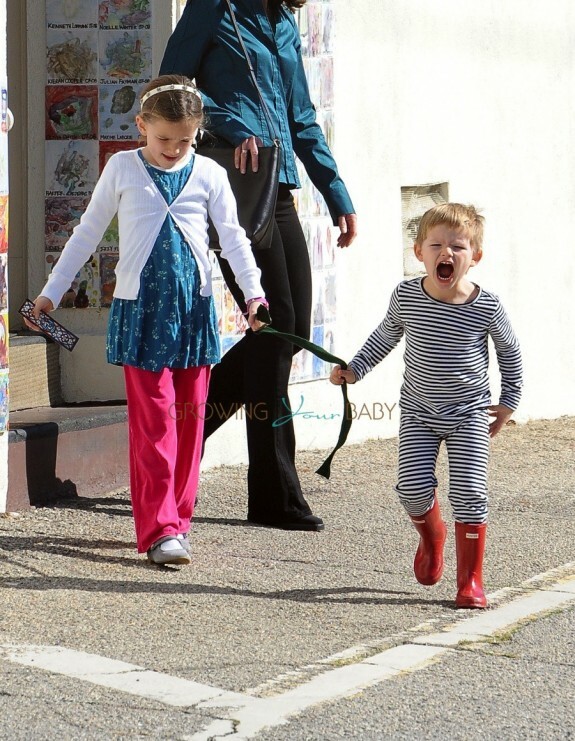 Jennifer Garner was spotted attending a Church service in the Pacific Palisades with her two youngest kids, Sam and Seraphina and sister Melissa on Sunday morning(Jan 24th, 2015). As they made their way into the church Sam appeared to be dressed like a ninja with a headband and matching belt around his waist. The best part about his outfit? The rain boots! On the way out he ran through the parking lot screaming. Unfazed Seraphina walked beside him holding on to one end of his belt. But just before they got into the car she shared a smooch with her mama, while Sam continued to show his fierce side.